About Us – Ramsey Manufacturing Company, Inc. Seems like only yesterday when we opened our doors for business, Now, several years later, the company is stronger than ever. There are a lot of factors we could point to: our management team, the machine shop team, and maybe a bit of luck. But the most important reason for our success are our customers. They are the ones who place their trust in us each and every time they have a critical job need. They are the ones we work for. As a woman-owned business “small” by no means implies the limits of our operational capabilities. We are a complete industrial job shop with the capacity to deliver a wide range of jobs. But do not take my word for it. I invite you to read some of the unsolicited testimonials from a few of our customers. Whether you need manual or CNC machining or burning, welding, fabricating, rolling, or brake bending, we have the skill, experience, and team to get the job done. Our capabilities are not limited to these categories alone. 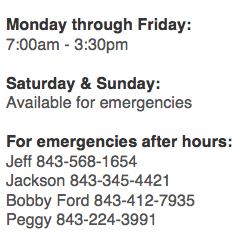 If you have a need that we have not addressed, please feel free to contact us. We are constantly looking to expand our product base and I feel certain we can meet your needs. All of our work is guaranteed. If the part does not meet your requirements, we will make it our top priority to meet your satisfaction. From all of us at Ramsey Manufacturing Company, Inc. we say “thank you”.